I have already provided “WIndows 8 universal Activator” but many users have reported that it wasn’t worked for them so today i am providing a new Windows 8 Activator for you. I rate it as best activator for activating windows 8 because it enables the personalization feature as well. 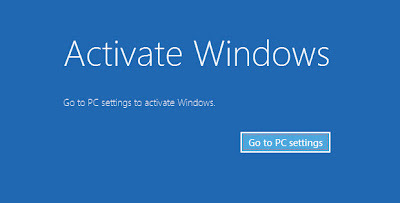 To check it simply download and follow the below given instruction to Activate windows 8. The file is in Rar Format so first of all use Winrar to extract it. Now open “Windows 8 Final Activator” as Administrator. You will see a command screen. Just let it complete its task. It will reboot itself after completing the process. Check personalize option. Now you would be able to use the Personalize feature as well. Don’t keep yourself quite .Please provide us postive or negative comments .Your positive as well as negative comments are most welcome. If you have any suggestion to make this site better then inform me ,i will think about it.